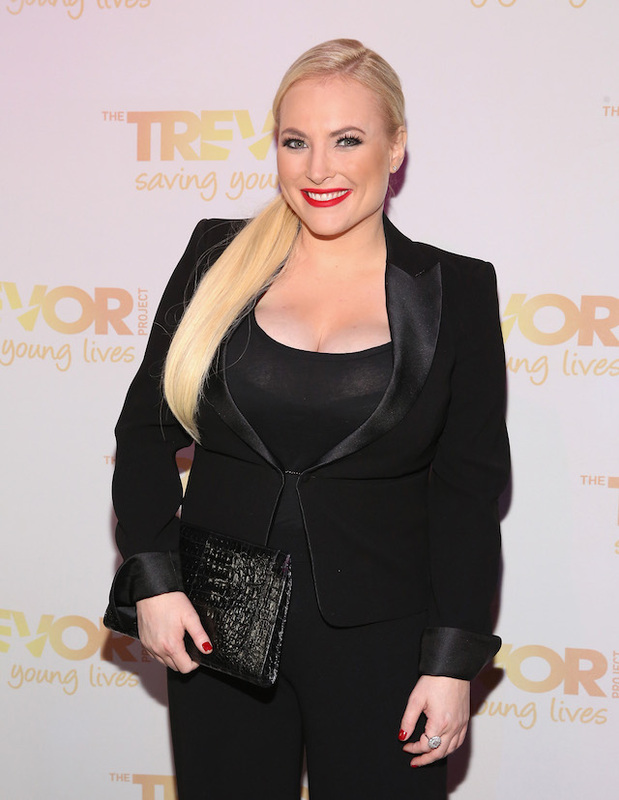 Meghan McCain received a standing ovation Thursday and got emotional while accepting a human rights award for her father, the late Arizona Republican Sen. John McCain. She also received a standing ovation as McCain accepted the award on her father’s behalf for Outstanding Contribution to Human Rights Law. On Wednesday, “The View” host explained her absence on the show for the remainder of the week over the award, named after Sergei Magnitsky, who exposed money laundering and corruption in Putin’s regime. 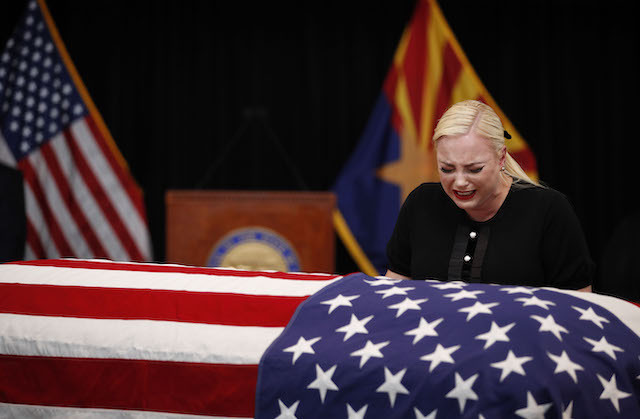 “While the Trump’s and their administration continue to be too ignorant or too unscrupulous to fight against Putin’s global expansion and murderous regime -I promise on behalf of my father to spend the rest of my life doing all that I can to help fight and speak out against it,” McCain tweeted. As previously reported, Daniel Vajdich, senior fellow at the Atlantic Council, and others have shared their beliefs that Trump’s been “much tougher on Russia” than past presidents. “When you actually look at the substance of what this administration has done, not the rhetoric but the substance, this administration has been much tougher on Russia than any in the post-Cold War era,” Vajdich shared. “Under the current administration, “some of the toughest sanctions in years” have been brought against Russia’s elite, according to CNBC. The president also approved the sale of weapons to Ukraine, something former President Barack Obama declined to do. And Trump has openly targeted Russia’s allies and strategic operations by ordering missiles to be fired at Syrian military sites, CNBC reported.